Did you know that there are 106 million active Linkedin users monthly? What’s even more impressive is the fact that 40% of users use Linkedin daily. Now, I can hear the question sounding off in your head: “Yes, but Jonathan isn’t Linkedin only useful for B2B (Business-to-Business)? 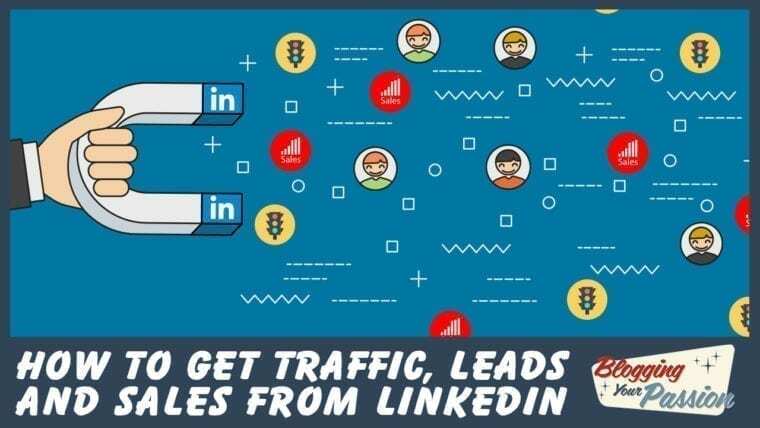 Are you getting traffic from Linkedin? There’s over 106 million active Linkedin users monthly. I use to think the same thing, but…boy was I wrong! Regardless of your niche, everything is P2P (People-to-People). Just by doing a little bit of searching, you can find people on Linkedin on just about every topic. One of my favorite shows is The Office. If you have seen the show, then you know Dwight will do just about anything for the sale. If you’ve been on Linkedin for any length of time, you’ve met Dwight. It’s the guy or gal who’s very first message to you is to sell you something. They mistakenly think “it’s just a number’s game,” but they do more damage to their credibility than they realize. I want to teach you a more authentic, natural way to connect with your ideal audience on Linkedin. I call it the GPS Message System. To become interesting to others, you must first become interested in them. Every person on the planet runs their life by a GPS system. When you can tap into their GPS system, you will begin to grow your influence, impact, and income. To become interesting to others, you must first become interested in them. GPS simple stands for goals, passions, and struggles. Everyone has them. It’s your goal to discover them. Have you logged into Linkedin recently? Well, they have made some significant updates to their platform. The best update is when they moved away from an inbox system and into a messaging system. What that means is you are able to always see the “context” of every conversation you are carrying on Linkedin. This makes it much easier to “nurture” a contact into a potential client or customer. Want to grab my messaging scripts for LinkedIn?Click here to download the PDF and build your leads using LinkedIn. People love to talk about things they are passionate about. If you want to connect with someone on a deeper level, discover their passions. A passion can be a deep belief, worldview, topic they love or value they hold dear. Taking a quick look at someone’s Linkedin profile is the best way to discover their passion. What did they study in college? Did they recently pursue additional certifications? Do they list skills or experience in their profile description that could be a potential area of passion? The fastest way to impact and income is to help others overcome their struggles. This isn’t nearly as hard as we make it out to be. You might be thinking people are too guarded to share their struggles with us. Truth be told, it’s the exact opposite. Once we’ve identified our ideal audience’s goals, passions, and struggles, we can then give an appropriate, helpful response. More traffic – Once a Linkedin contact answers one of the above questions, I can share a link to a blog post or podcast episode that can help them. More leads – With certain responses, I could share a lead magnet, upcoming webinar or something else that requires an email address to gain access to. More sales – If I have a course or coaching program that connects to a goal, passion or struggle they have, I can share that at the appropriate time. Even though there are some tools that can help you automate some of this, all of the above can be done in just 10-15 minutes a day. Each evening you can log in to your Linkedin account and see your unread messages and respond appropriately. With Linkedin’s easy to use messaging system you will never lose the context of your conversation even though you might be carrying on several conversations at once.